CLICK HERE to save this recipe to Pinterest to remember to make it later too! I never thougt about making homemade granola, but it’s certainly interesting. I’ll give it a try this weekend. Thanks! Sean, it’s so easy in the slow cooker especially and delicious! I hope you like it! I love eating them in cookies! I love quaker oats with berries, lots of berries! I also love to mix sone greek vanilla yogurt in my oats. Yum! 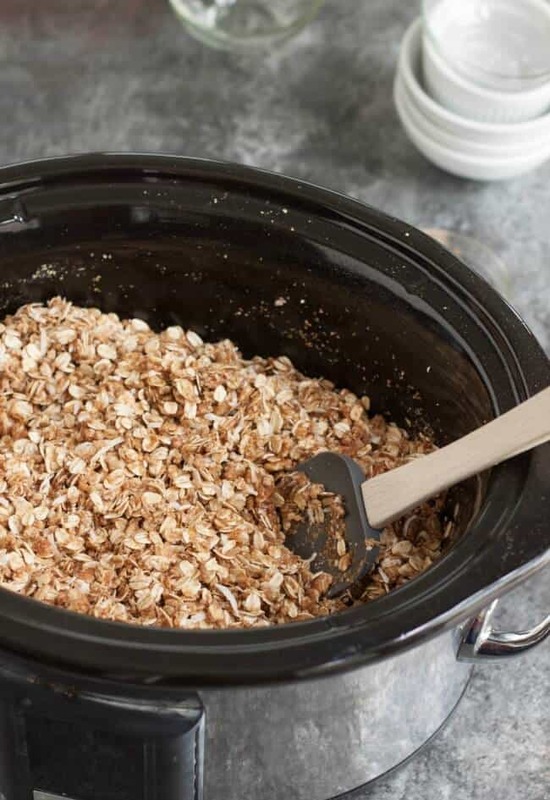 Love to make homemade granola, but never thought of using the crockpot! Oatmeal with fresh berries! 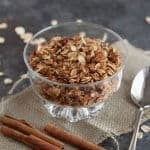 This granola looks good and easy to make! I LOVE granola. 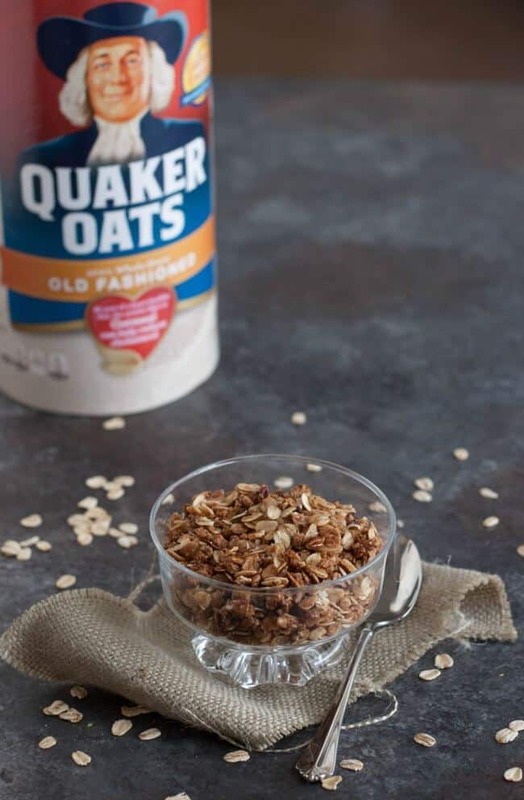 I use a family favorite recipe with 6 c. Quaker oats. I’m excited to try this new version. I like it with some chopped apples and a little cinnamon sprinkled on with some warm milk. 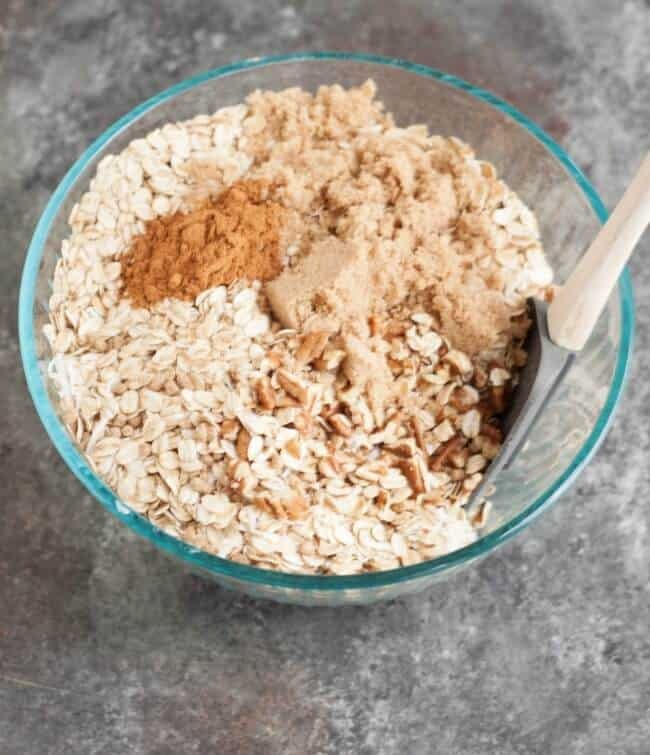 My favorite way to use oats is in chewy oatmeal cookies. I also love granola although I haven’t tried making it myself before. This recipe not only looks tasty but very easy! this looks delicious and what a great idea! 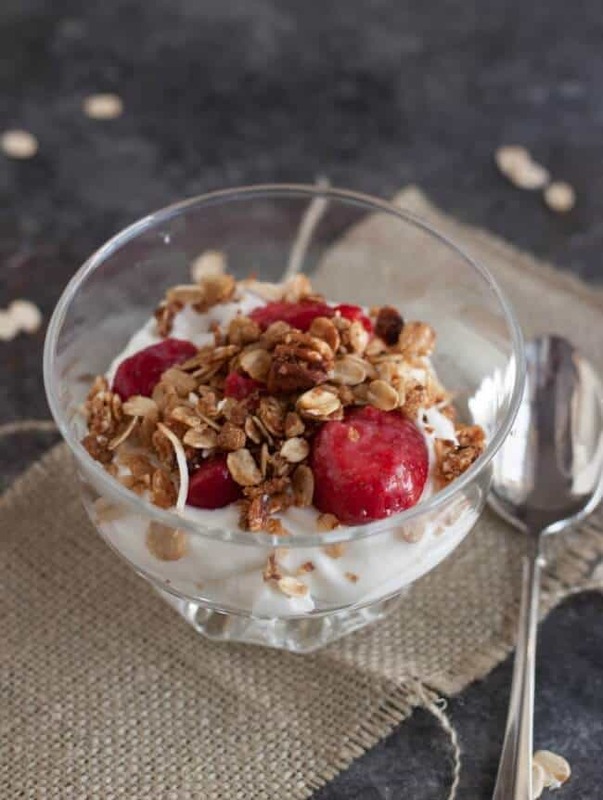 I love homemade granola,especially on homemade Greek yogurt. I will be making all 4 of these recipes in the next couple days.YUM! This sounds tasty & so easy to make! Very good! I love oats any way you cook them! My favorite way to eat Quaker Oats is in a bowl with a little sugar. Sweet and just like when I was a kid. My favorite way to eat oatmeal is topped with apple slices cooked in butter, then topped with brown sugar and walnuts with a splash of organic milk. 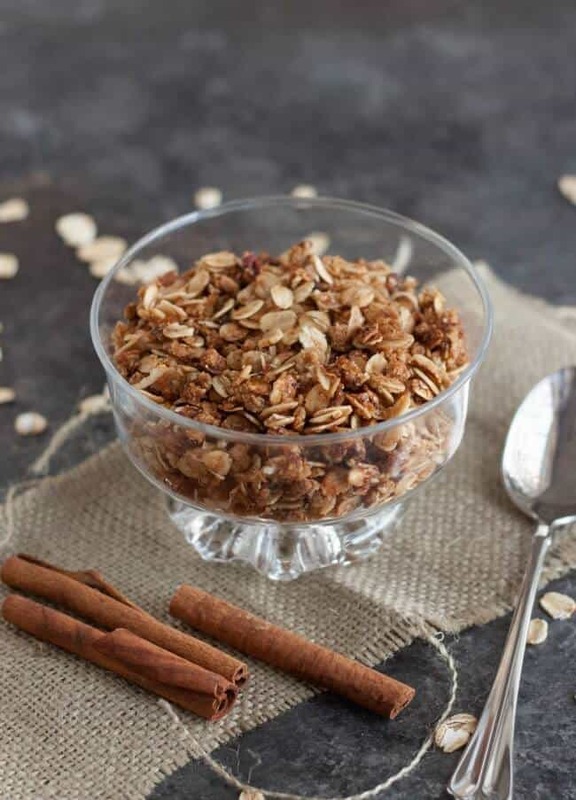 And your slow cooker honey cinnamon granola oats sound amazing & simple to make. I like to add maple syrup, apples chunks, and crumbled bacon. Hi! This looks delicious, however I need to eat gluten free (love Quaker Oats Instant gluten free oatmeal!). Do you ever have gluten free options on your blog? Thanks Gina! I don’t have gluten free baked goods necessarily on my blog but I do have several salads, snacks, main dishes and many others that are gluten free. You can find them easily by using the Recipe Index tab near the top of the page. There are so many gluten-free bloggers and it’s not something our family needs to follow so I’ll leave more specific recipes to those that have more experience!